2. 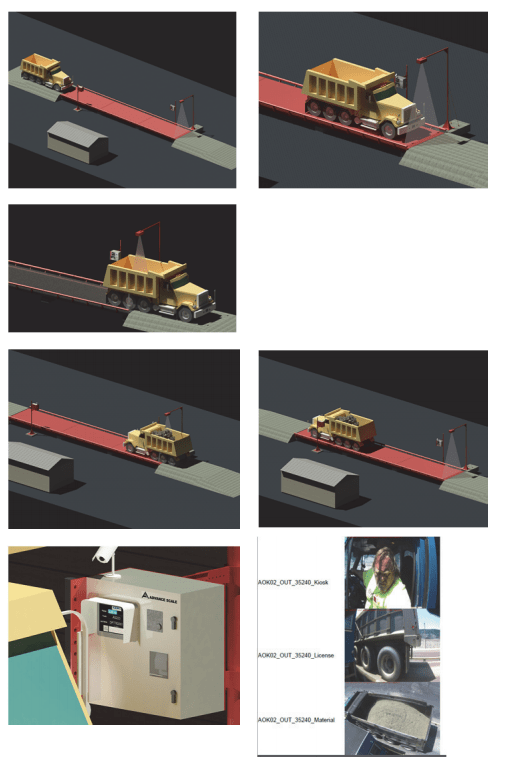 Truck Performs Inbound Weigh operation and receives an acknowledgment to drive through Volumetric Scanner. a. Receives Ticket with signatures and transaction data. Volumetric Data included if applicable. The WLS Series operates by comparing the loaded vehicle scan profile with that of its corresponding empty profile. The difference between the two profiles are then used to calculate the actual volumetric load of material carried by the vehicle. The advanced algorithms provide the actual load volume within seconds. The provided sensor hood is mounted above the path of the vehicle on a pole. The vehicles must only drive under the scanner hood at a slow constant speed. Tere is no need to stop as the WLS Series operates dynamically.